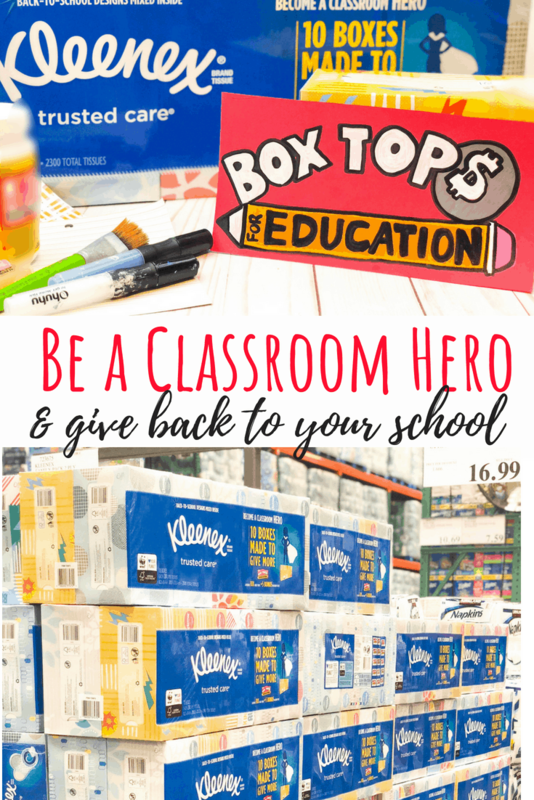 Upcycled Kleenex Box for Box Top Collection – Be a Classroom Hero! 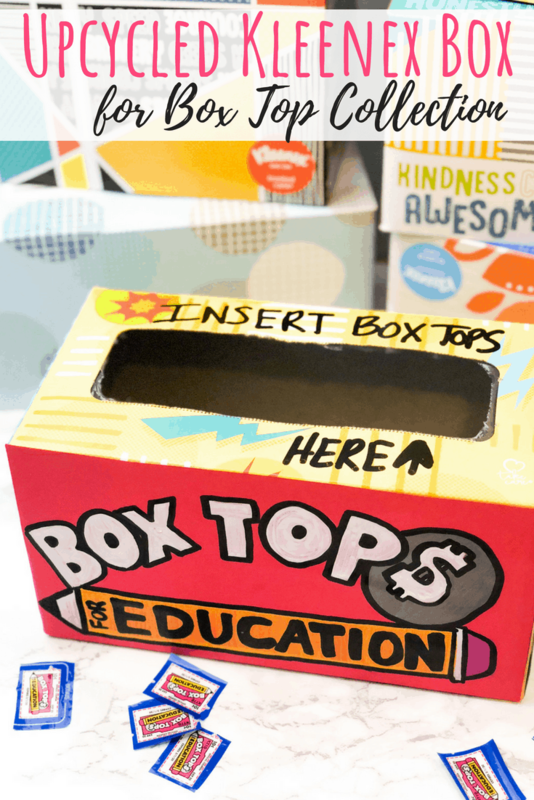 This upcycled Kleenex box serves as the perfect place to collect Box Tops at school. 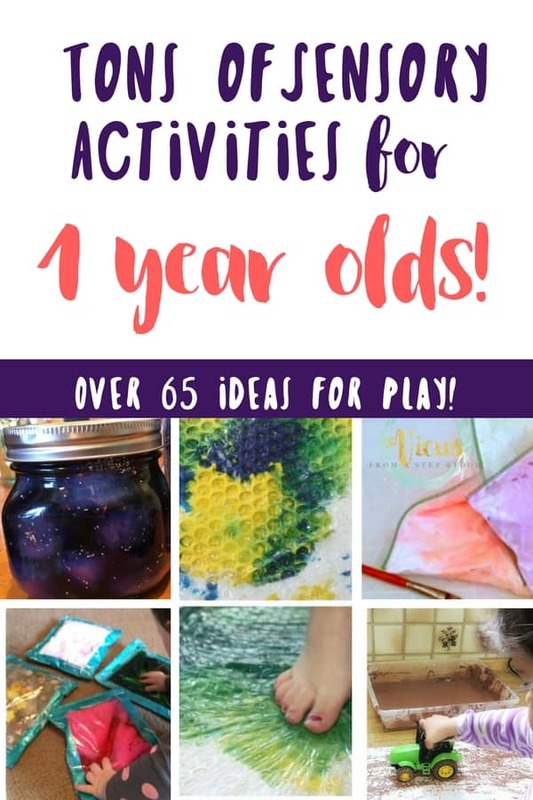 Great as a back to school classroom gift. This is a sponsored post written by me on behalf of Kleenex® Facial Tissue. 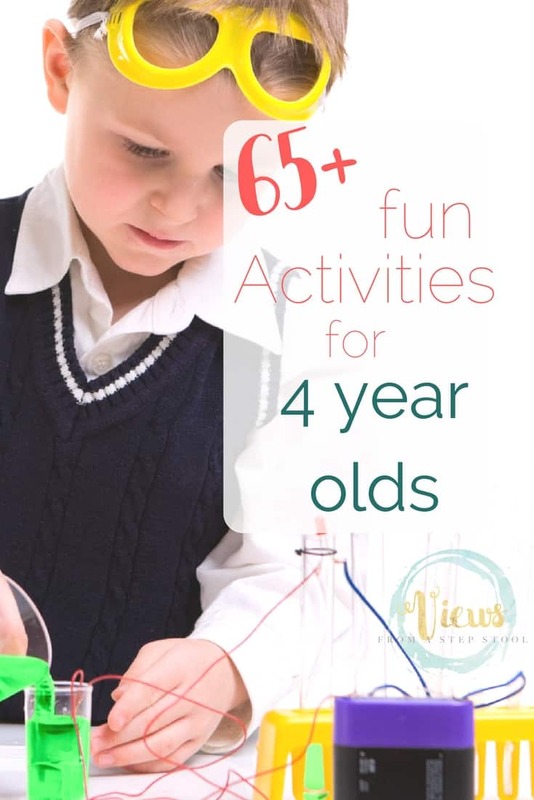 Back to school season is synonymous with shopping! Parents scramble to buy all the necessary school supplies, clothing, shoes, and classroom materials. 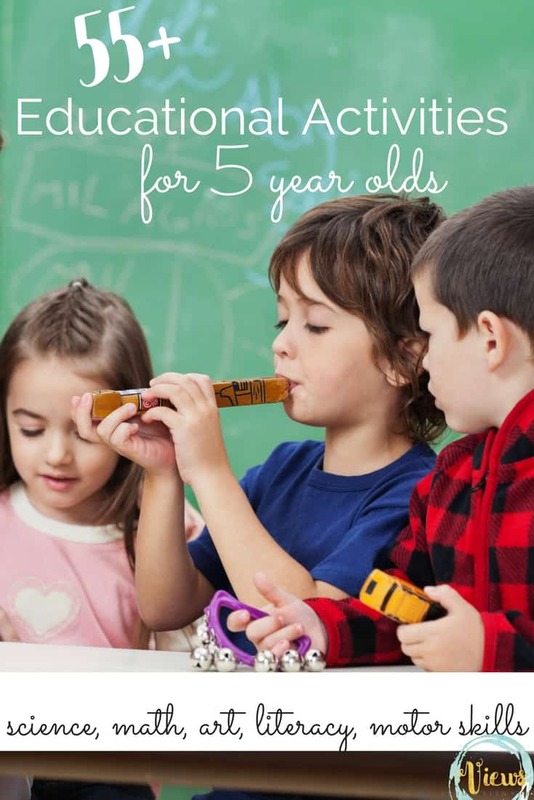 There are ways to shop smart, buy in bulk, and give back to schools in the process! Our store of choice for back to school shopping is Costco. As a family of five, buying in bulk saves money and helps us feel extra prepared and ready to tackle another year. 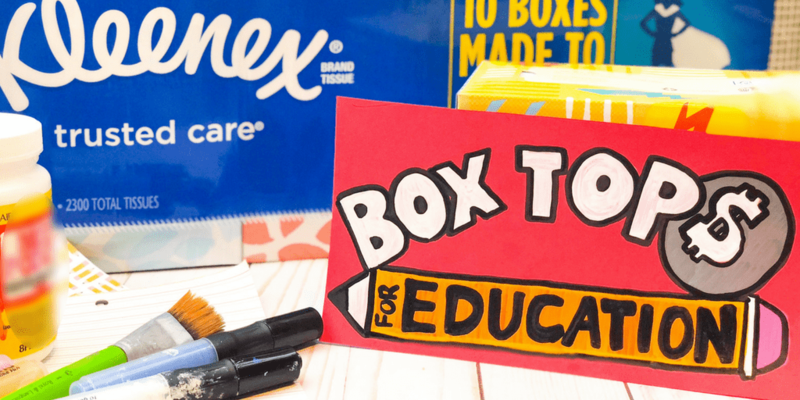 Kleenex® Facial Tissue and Costco are helping you become a classroom hero, stocking the room with essential products that many teachers otherwise must purchase themselves. Many reports have shown that school budgets are tight and teachers feel obligated to use personal money to stock their rooms with supplies. Buying Kleenex Facial Tissue at Costco gives you a bulk buy of 10 boxes with 43% more tissues per box and fun back-to-school designs. 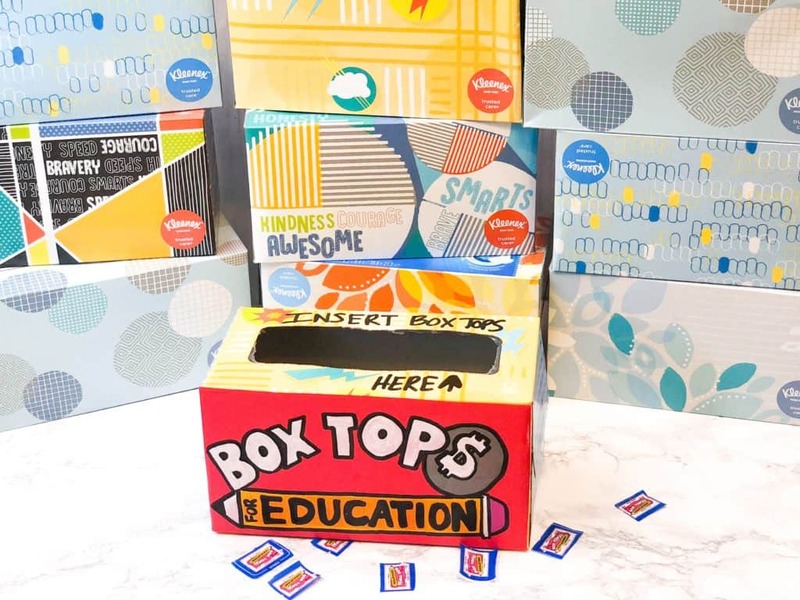 Plus, each bundle includes 15 Bonus Box Tops! Below we will show you how to upcycle a Kleenex box to collect these for the classroom. 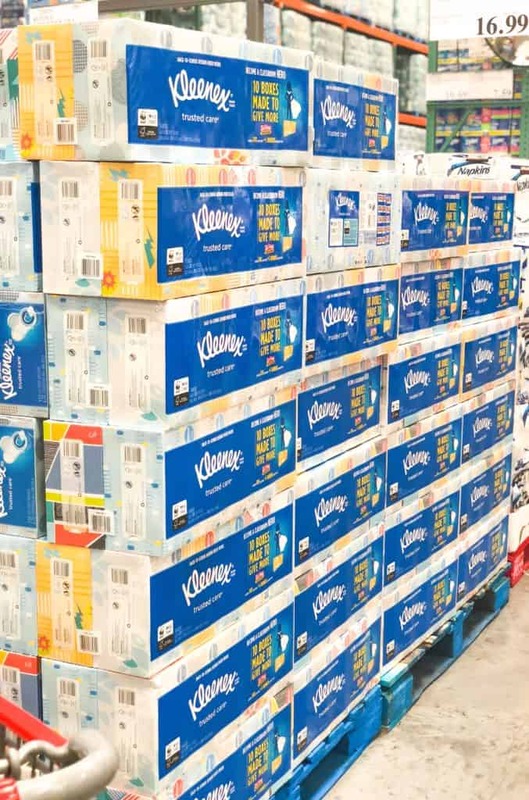 To further save on your bulk buy, Costco members will save $4 on the Kleenex bundle pack from 8/9 to 9/2. Giving back is an important value that I try to instill in my kids every day. Wherever they can, we encourage them to help others and act with empathy. 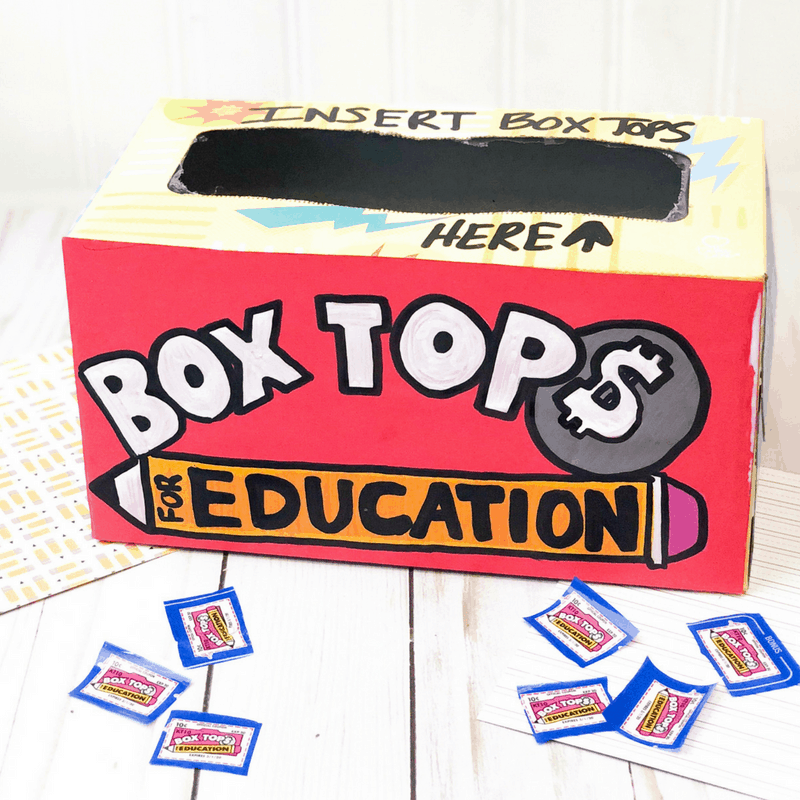 Box Tops for Education is a program that helps give back to local schools. 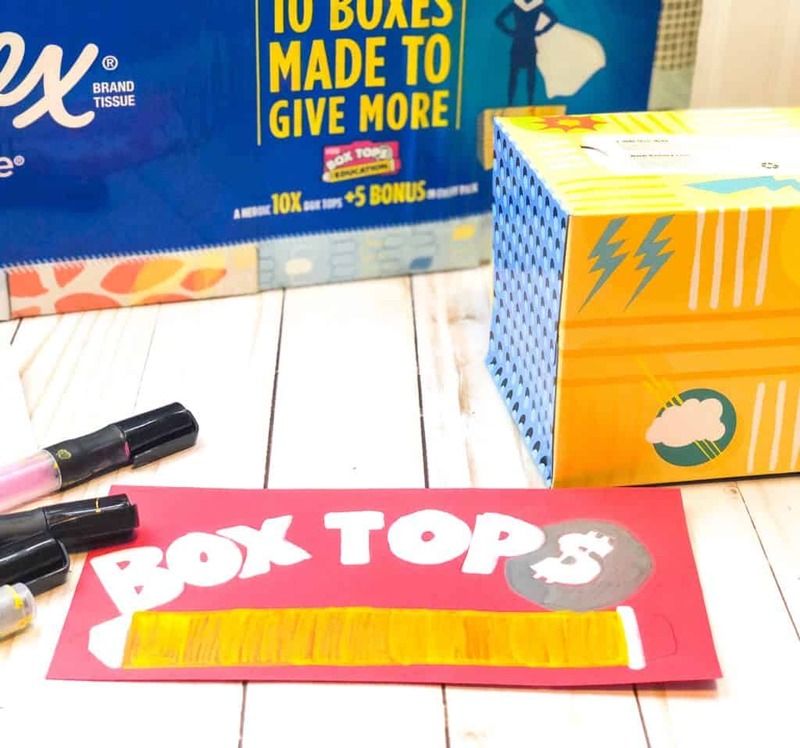 You can find the Box Tops on grocery or home good packaging, cut them out and send them into your child’s school. These Box Tops are redeemable for cash to your child’s school. What a great program! When you send in your bulk pack of Kleenex Facial Tissue, give your child’s teacher an upcycled Kleenex box to collect the Box Tops in! Start by tracing and cutting out a piece of red or pink card stock to fit the front of your Kleenex Facial Tissue box. 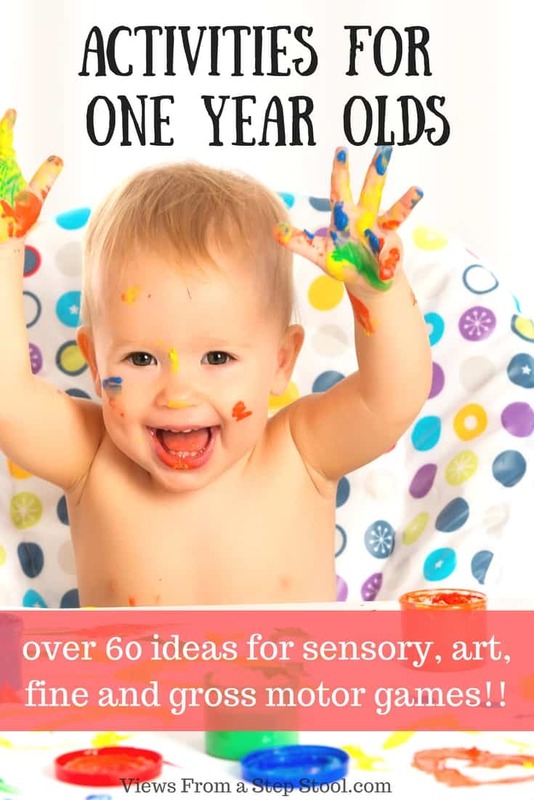 Then, sketch in pencil a Box Top! This is mostly lettering with a pencil, so don’t be intimidated by this aspect of the project. After the sketch looks good, fill in the drawing with paint pens. 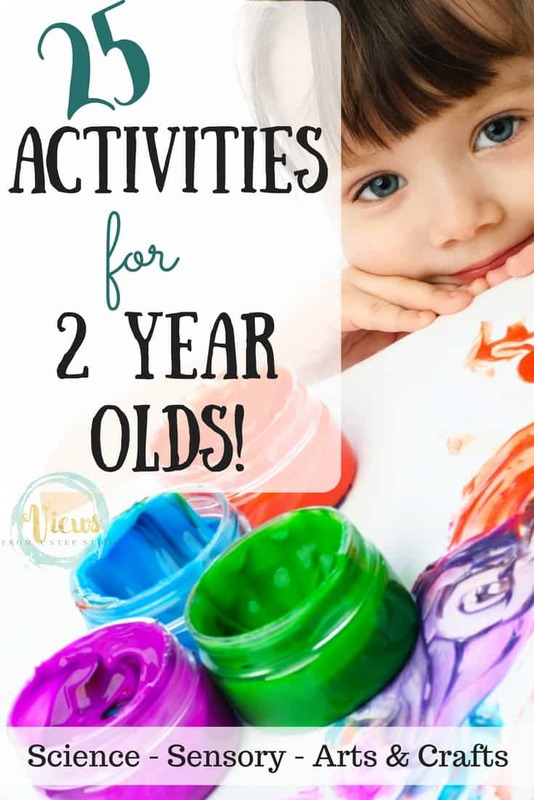 You might need a couple of coats with the lighter colors, but these work really well on the card stock. Glue the picture on to the front of the box, and your upcycled Kleenex Facial Tissue box is done! This would make such a great back to school gift. 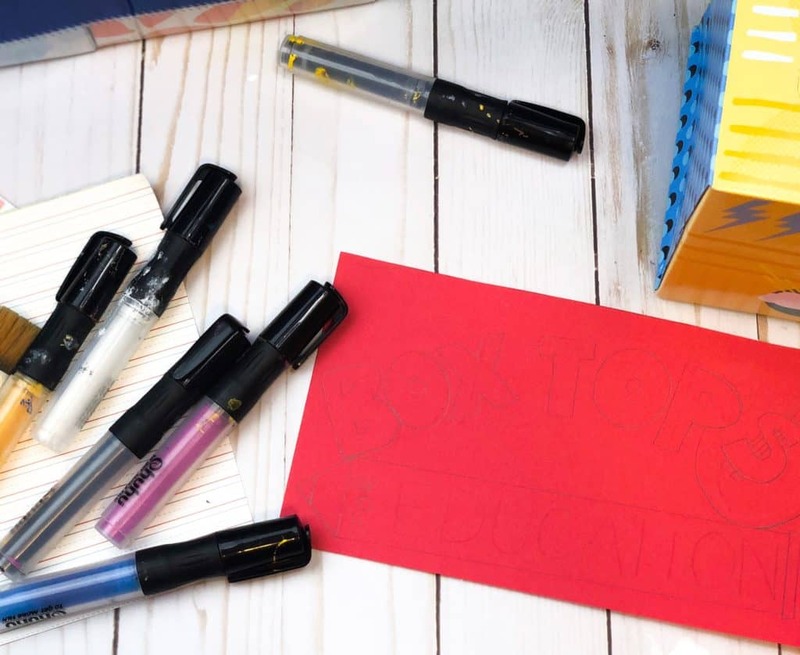 Give back to your school, help out the teacher, buy in bulk, and upcycle! 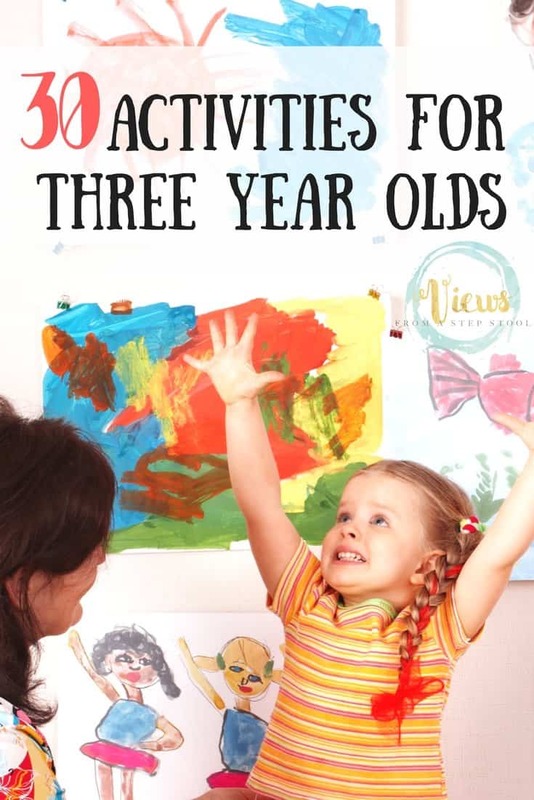 All great ways to have a nice back to school transition. 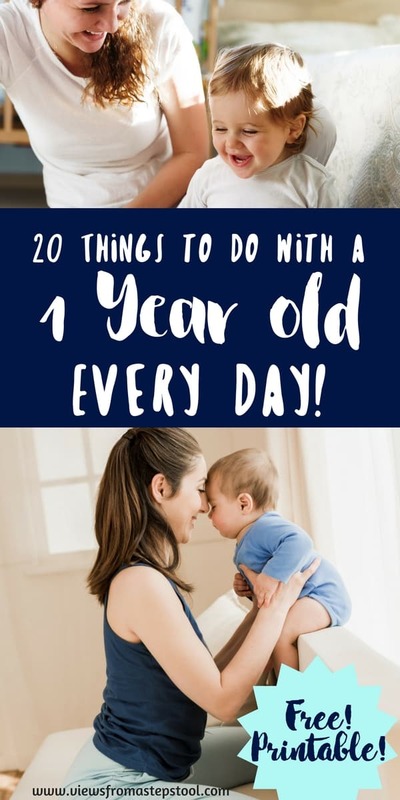 This is a sponsored post written by me on behalf of Kleenex Facial Tissue.